Modifying a motorcycle with a distinctive appearance is nothing new as we see many customised motorcycles around us. While some of them come very tastefully modified, some are not that much beautiful in terms of aesthetics. 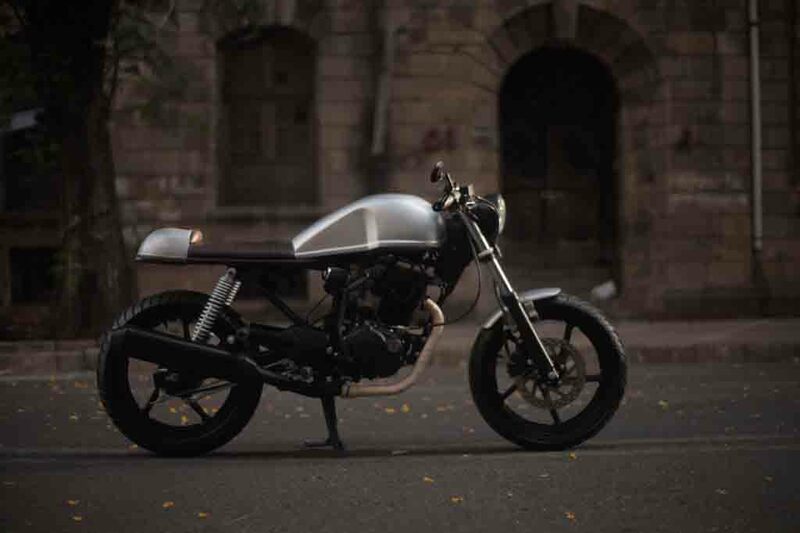 However, here we have a Hero Karizma customised heavily and turned into a café racer by Ballard Customs based out of Mumbai and the motorcycle appears very interesting. 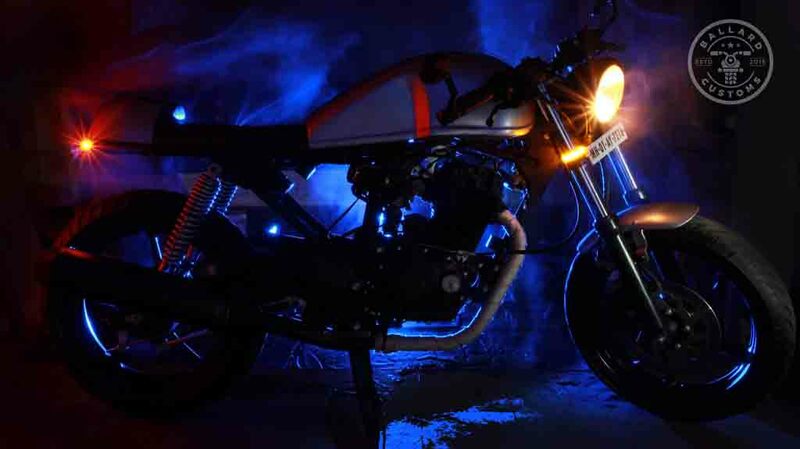 Unlike the customised motorcycles we have reported about, this one has been built by a hobbyist. The model is originally a 2011 Hero Karizma and you cannot figure it out with the modified look. Speaking about the design, it sports a retro looking round shaped large headlamp with blackened bezel. The instrument cluster has been customised as well with a single-pod analog display. 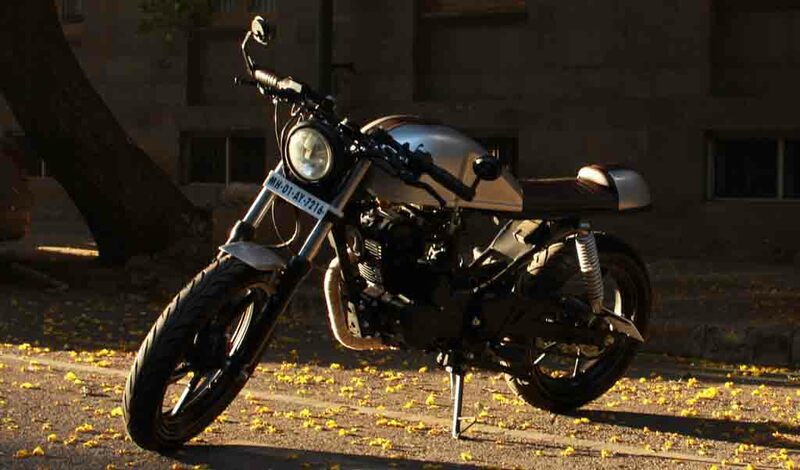 The Hero Karizma café racer receives a completely new fuel tank with muscular tone at the side profile. The dark brown leather seat has been modified too to bring a perfect café racer appearance, while the rear too has been designed perfectly. 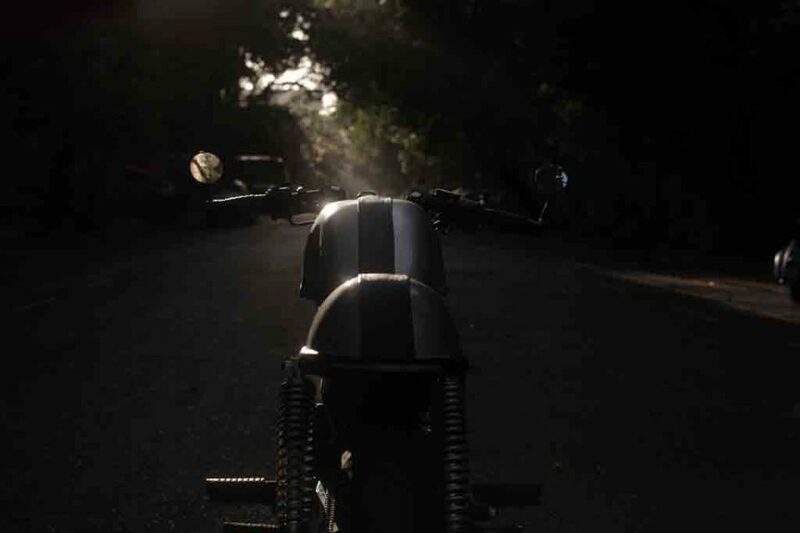 The fuel tank and the rear cowl gets a thick and wide leather strip, which adds zing to the motorcycle. The sleek LED taillight has been tucked neatly. The turn indicators up front are also LED units and the modifier has positioned them very cleverly at the front suspension set up. The customised motorcycle gets updated exhaust with completely blackened appearance and it runs on same alloy wheels as the standard model. But the tyres come with high specification. 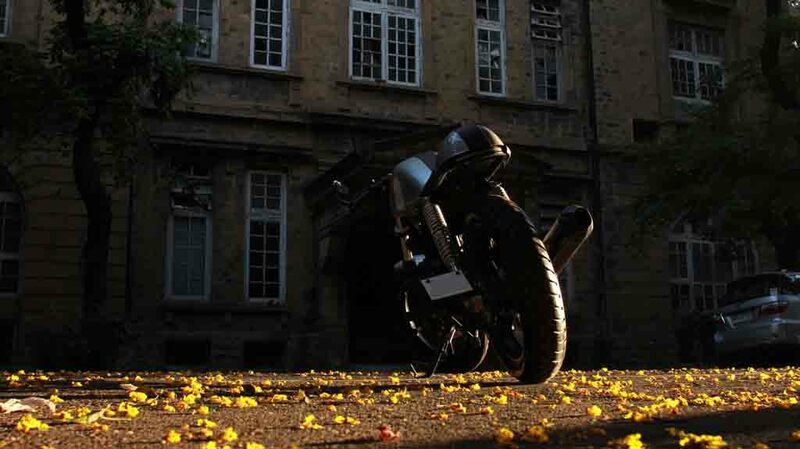 Overall, the Hero Karizma café racer looks very interesting indeed. Power source of the motorcycle is the same 223 cc single-cylinder, air-cooled engine, which does duty in the standard model. The engine is mated to a 5-speed transmission and it is capable of churning out 19.2 bhp of peak power at 7,500 rpm and 19.35 Nm of peak torque at 6,000 rpm. For braking duty, the Hero Karizma café racer uses 276 mm front disc brake and a 130 mm rear drum brake.